Notaries in Cheshire, CT are listed below. Use the filters to search for specific criteria. I'm a notary with 5+ years of experience. I cover all of Connecticut. 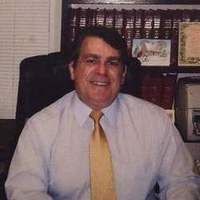 I have done many refinances however I have also done loan modifications, applications, reverse mortgages, and annuities. I am a notary with over 13 yrs of experience. I have been certified and background screened through the NNA. I cover 5 counties, New Haven, Middlesex, Fairfield, Litchfield and Hartford.